I am sharing a little taste of Spring with you today for Style Files, some pretty spring dresses. Hey friends! Spring is finally here and I can finally get outdoors and take some outfit photos. 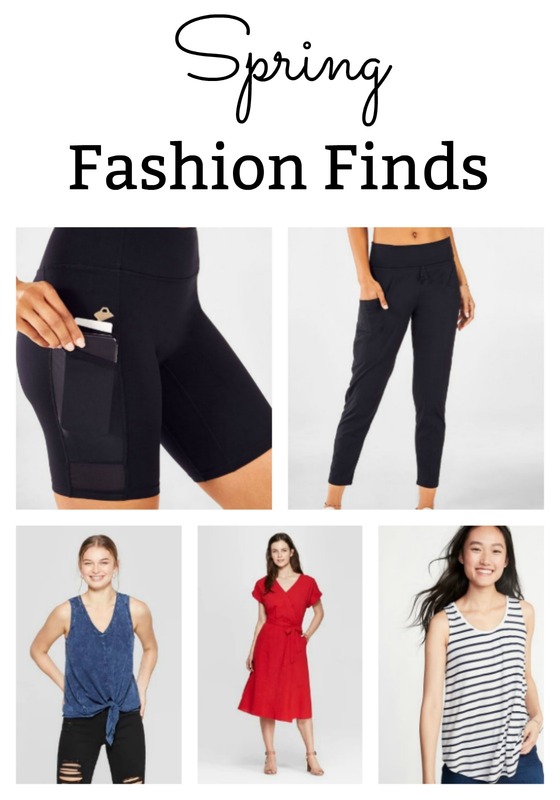 I wanted to share a real steal I found at Old Navy last weekend, and at the bottom of this post, I will also share a collection of some of my favorite spring dresses Old Navy has right now. They always have a nice selection of dresses at affordable prices. I found this particular dress on clearance for $3.99. And I scooped it right up and took it home! I just love the navy and white stripes and the cut of the dress. Unfortunately, this dress is not quite that cheap online, but even so, it is on sale for $36.99, and then an extra 30% off of that. So I am not sure if the one I found was on clearance for some unbeknownst reason, or if it is that much cheaper in stores. But I have not been able to find any flaws whatsoever. I like the fit of this dress, It has elastic in the waist on the back and it gives it a cinched in look at the waist. I am 5’6″, and I am wearing a medium. However, had I been larger in the chest area, I would have needed to size up I think, because although it is just right, I do not have room in the chest area when wearing it. I also like the little ruffle detail around the bottom. This dress is also fully lined, which I love. The one thing I do think is missing on this dress is pockets. But I think every dress should have pockets, don’t you? And I think they would have been so easy to add to this dress. But I still love it even without pockets! I also love the length on this dress. I went back to Old Navy yesterday and picked up a few more items because they have such great sales right now! I have picked some of my favorite Spring dresses from Old Navy for you to shop today, just click on the photos to shop! I hope you find something you love! I think dresses are so perfect for Spring and Summer. You can also have an option to click the heart on each photo and then enter your email address. You will then be notified via email when any item you heart goes on sale!